ALERT® OUTPATIENT, version 2.6.1.20, went live at the Instituto de Medicina Interna (Internal Medicine Institute) and at the Centro de Manejo del Dolor (Pain Management Center), on July 22 and 25, respectively. 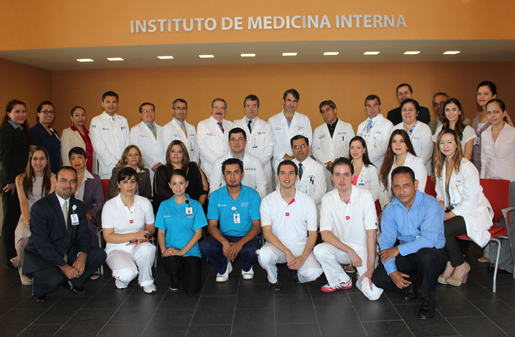 Both facilities are located at the Zambrano Hellion Medical Center (CMZH), which belongs to the TEC Salud Group, in Monterrey, Mexico. ALERT's solution for outpatient appointments had already gone live in June at the Instituto de Neurologia y Neurocirugía and at the Instituto de Rehabilitación, also part of the CMZH. With the Instituto de Medicina Interna and the Centro de Manejo del Dolor, seven facilities have gone live with ALERT® alone this year (nine in total for this project) at the CMZH. CMZH is an international institution affiliated to Methodist International (global network of The Methodist Hospital in Houston, Texas, US).